Clean out the hard drive, you'll need some space. Techland's Dying Light hasn't even been out a full calendar year, but the team has been hard at work on updates and DLCs. It's almost like, I dunno, they're being chased by zombies or something. Several announcements over the holidays teased Dying Light: The Following - Enhanced Edition, a new release that improves upon the original and adds some fantastic new features. But first, the fun news. Over the past few weeks, Techland has been running a Twitter hashtag campaign encouraging players to take pictures of themselves drinking water in exchange for new DLC. #DrinkForDLC was obviously a success, and after over 15,000 photos and videos came rolling in, the three piece Drink For DLC pack was announced containing a new map and a new weapon. The update will be released on February 9, 2016 and is free for all players. And now, the big news. 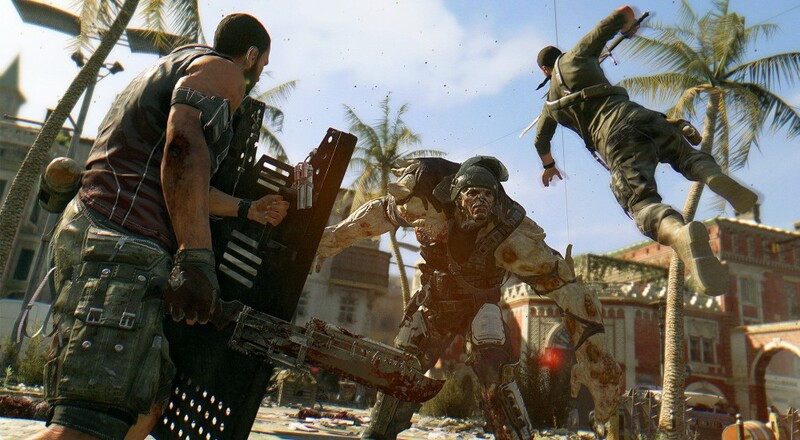 Dying Light: The Following - Enhanced Edition is set to be the definitive zombie experience. The release is also scheduled for February 9 for PS4, Xbox One, and PC, and it includes an enhanced version of the original game, The Following expansion pack, Be the Zombie mode, The Bozak Horde mode, and other challenge missions and bundles. Legendary levels and new skills to master are also part of the plan, but Techland hasn't divulged all the gory details just yet.